Foresters Learn Ways to Maximize Value for Clients - Steigerwaldt Land Services, Inc.
Our foresters were excited to take part in a Log Scaling and Grading Workshop, hosted by our Hayward office. 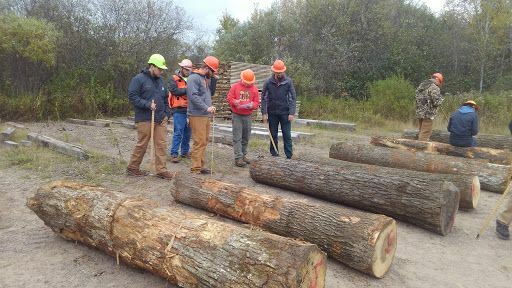 The workshop, led by Jim Dougovito of Superior Forestry, LTD, was an all-day event, with a half-day of indoor training, then a half-day of scaling in the field. Staff from our forestry departments learned ways to determine quality of a log, improving utilization and marketing of raw forest products. 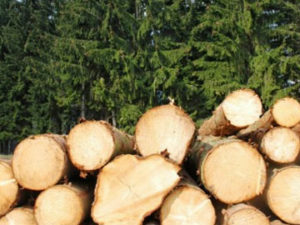 Proper scaling and grading results in more accurate timber cruising, maximizing quality and value, as well as increasing profits for our clients.